Comments Off on Why Should You Opt For Cold Fusion Hair Extensions? If you have a very thin and short hair but wish to have, luscious long locks those celebrities in the silver screen flaunt. Then you can opt for hair extensions that can be attached along with your real hair and makes it look thicker. This was very expensive treatment until recent times as only few could afford it. These days, any one with a small budget can readily opt for this treatment. However, there are various methods through which extensions can be performed such as gluing, sewing, clipping and tubing but the safest method is Cold Fusion Hair Extensions. A cold fusion hair extension method is one of the latest ways of attaching hair extensions. This is offered by many salons all around the world and has received good response from hair lovers across the world. Many prefer this method as there is no heat factor involved in this method to fix the extensions with natural hair. What is the process of cold fusion hair extensions? This is because cold fusion is performed by applying ultrasonic waves in the place of heat. These waves apply a lot of mechanical energy to the hair extension tips. These waves then attach the extensions to the natural hair’s root. The tips of the extensions are constructed with keratin that helps to bind hair well while being flexible and smooth. This quality allows you to have a natural hair look, as the extensions remain invisible. This also offers a natural look and makes the onlooker think that you have a long natural hair. There are many reasons why cold fusion is gaining huge popularity amidst the youngsters in the recent times. 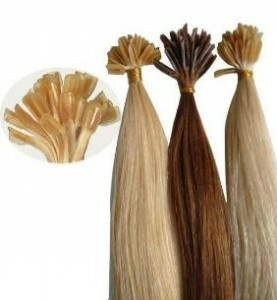 As these extensions do not involve heat to merge hair, it is much safer and gentler on your hair than other extensions. This is also because there are no potential risks involved such as balding and damage on the scalp. The end statement is that this method is ideal for those of you with thin, weak and fragile hair. The cold fusion hair extensions also facilitate those of you who are suffering with alopecia. This method is highly advisable for cancer patients who might have lost lots of hair owing to the treatments involved in curing this medical condition. Those who are with receding or a thinning hairline also find it a suitable option as it helps them to maintain their looks without damaging even a strand of their original hair. You might have to replace the extension only once in 6 months which makes it an effective one. Maintaining the cold fusion hair extensions properly will help you to use them for longer time and prevent damage to it. Make sure you choose a professional service to get the hair extensions fixed properly and make sure that it is an affordable service. There are no more complaining or longing for long tresses as you can try out any kind of hairstyles now with cold fused hair extensions.